Host your party or group event at Discovery Island Waterpark. 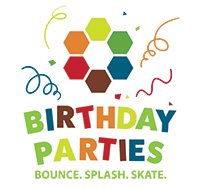 Party packages include everything you need to host the best birthday party ever—stress free. Or, for exclusive admission for large group events, check out our exclusive park rental options. If you have questions about parties, please contact Beth Scheimann at 864-962-2361 or [email protected]. Contact Beth Scheimann at 864-962-2361 or [email protected] to learn more or make reservations. FlowRider exclusive rentals are offered Sunday mornings. Please contact Beth Scheimann at 864-962-2361 or [email protected] for availability.